Has Japanese Prime Minister Shinzo Abe hit upon a magic formula? Japan's stock market has been on a tear, adding more than 7% over the past month as investors cheer looser monetary policy and the buckets of fiscal stimulus being pumped into the country's economy, which together have depressed the yen. Last week, the Nikkei rose to its highest level in more than four years, riding a wave of optimism that has coincided with Abe's rising political fortunes. While the rally may yet have a little further to run, stocks have probably seen most of the gains they can expect from the currency move. A former prime minister who resigned his post only to ride a wave of popular dissatisfaction back into office, Abe has pursued a controversial set of policies designed to revive Japan's faltering economy and end decades of stagnation. Japan is in the midst of a mild recession, and Abe has deployed supercharged rhetoric in an attempt to steer the country's central bank into aggressive easing. The bank has responded to the pressure, pledging to make "open-ended" purchases of government bonds and raising its inflation target to 2% from 1%. 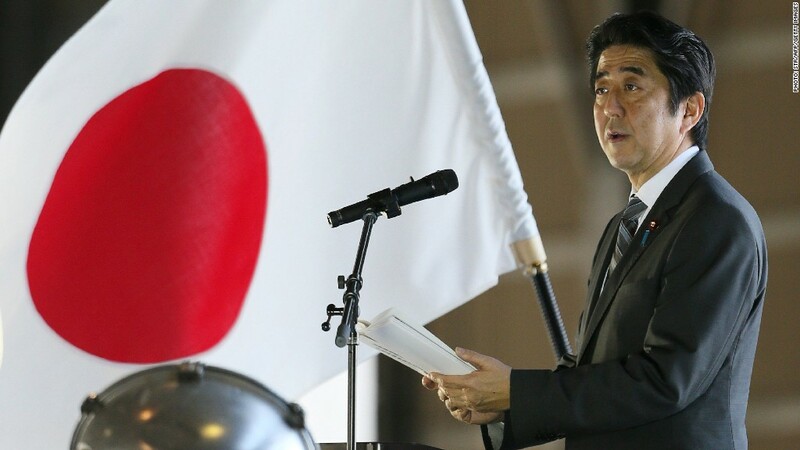 Abe's government has also put in place an $117 billion fiscal stimulus package that will increase spending on public works, disaster recovery and provide aid to smaller businesses. The actions have precipitated a sharp fall in the value of the yen, which has weakened by nearly 20% against the U.S. dollar since the beginning of October. Another major factor helping to tame the yen is the country's shift from a long-term trade surplus to a deficit, triggered by the earthquake, tsunami and nuclear crisis of March 2011. The national emergency caused the country's exports to drop at the same time as it began to import significantly more fuel. A weaker yen helps exports but also has the potential to hike costs associated with imported fuel, which could smother any broader benefits to economic growth. Japanese exporters rank prominently among the beneficiaries of Abe's policies and the yen's decline. A weaker currency cheapens the price of a country's exports, making them more attractive to international buyers by undercutting competitors. As a result, even the smallest move in the yen has a big impact on Japan's exporters. Analysts at Capital Economics wrote last week that the yen's depreciation might not quite be over. "We forecast the yen to depreciate to 95 against the dollar by mid-year as investors' appetite for risk continues to grow," the economists said. The yen is currently trading at 92.7 to the dollar, within striking distance of the prediction. "Since this currency forecast is no longer far from the current level of the exchange rate, we don't expect Japan's stock market to receive much of an extra boost in the coming months," the economists wrote. "But we still expect it to derive some benefit." Other observers are worried that Abe's strategy raises the chances of hyperinflation, charges the prime minister dismisses. The stimulus calculus could change this week, when Japan is set to release fourth quarter gross domestic product figures. Another quarter of negative growth would likely only fuel Abe's calls for more easing.